What is meant by stimulation surgery and who is a good candidate for it? Deep brain stimulation (DBS) is also known as stimulation surgery, where counter currents are used in order to lessen the ‘static’ found in specific regions of the brain. The implantation is mainly made in, but not limited to the following regions: the subthalmic nucleus, the global pallidus, or the thalamus. Once the stimulator is implanted, it acts in a way to reduce or even possibly negate any affects of the abnormal discharging region. The stimulator is attached to wires that are fed beneath the skin to a battery pack near the shoulder. This pack can then be adjusted as the patients sees fit to mainly control any dyskinesia. As the stimulator is turned off, so is the control for any tremors, which shows that this is not really a permanent fix. The main reason for DBS is to keep the dyskinesia controlled and reduced. 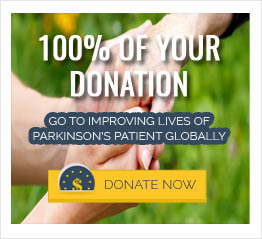 The aid this gives to the PD patients is that it allows them to lower dosages of medications and DBS is also shown to have fewer surgical complications than thalamotomy and pallidotomy. Of approximately one million PD patients in America, around 0.5% of them choose to go ahead with this procedure. DBS, much like any other surgery, isn’t really appropriate for a plethora of patients at varying levels of PD. Newly diagnosed patients and patients doing well on medication are not prime candidates. Also, those patients whose main symptoms are related to confusion, memory loss and hallucinations wouldn’t benefit too greatly.